At the city-wide, system-level, WHA collects and analyzes GPS, water quality, and water source management data to improve the quality and coordination of groundwater source management throughout Gulu by all relevant actors, including by WHA, other NGOs, locally elected community water user committees, the municipal government of Gulu, and Uganda's National Water & Sewerage Company. 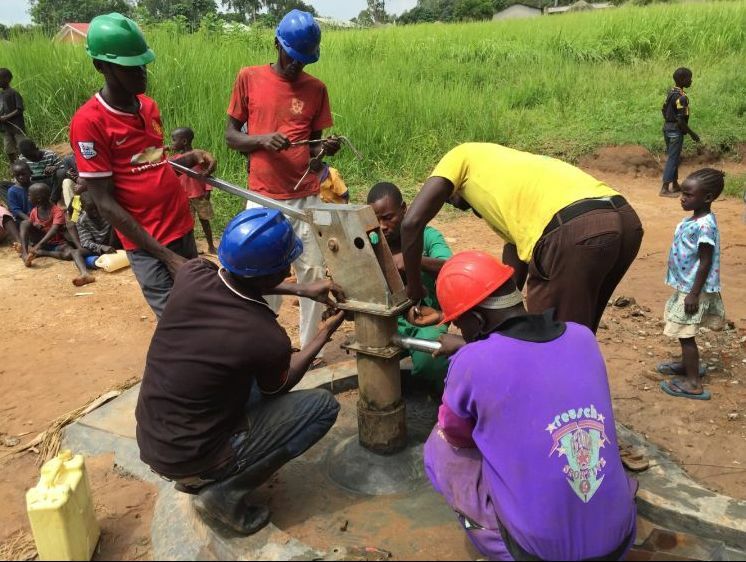 At the village level, WHA rehabilitates contaminated, damaged, and nonfunctional protected borehole wells in Gulu Town to ensure that vulnerable community members have reliable access to safe water. Water & Health For All's water engineering team rehabilitates well Wang Latom, in Gulu. WHA ensures the sustainability of the valuable public health gains from expanding access to clean water by training locally-elected Water Source Committees in sustainable water resource management. Water Source Committee members participate in training in sustainable water resource management.